Ewe nutrition and management during pregnancy can be a real balancing act, and if it is not quite right, there can be serious implications and associated conditions. 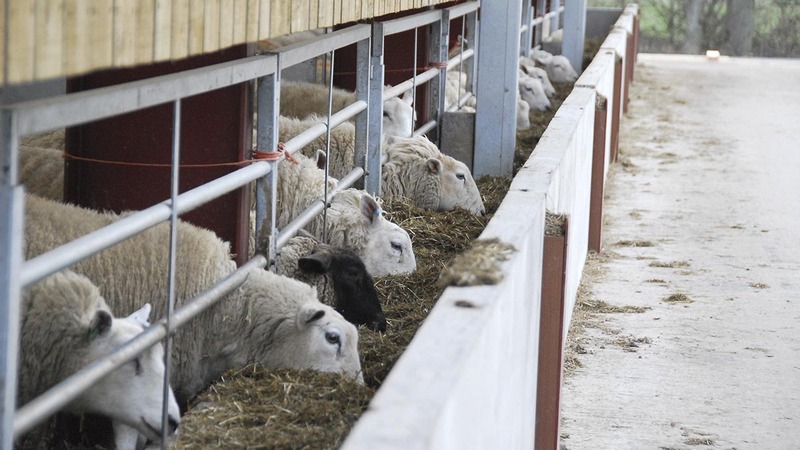 One such condition is hypocalcaemia, which Dr Phil Scott, a NADIS contributor describes as a shortage of calcium in the ewe, relative to their requirements. He says this condition occurs sporadically in three-crop or older ewes, most commonly during late gestation but also in early lactation. Calcium is important in the development of the bones of the foetus and so there is an increased demand for the mineral at this time. He explains: “It is often seen when ewes are brought down off hill grazing onto improved pastures prior to lambing. This is due to the high phosphorus and low calcium content of grass which causes a sudden relative deficiency of calcium. “The condition can result from errors in formulating home-mix rations where minerals are not thoroughly mixed into the blend and can occur after stress related events such as housing or dog worry. The condition can be prevented by the addition of appropriate minerals to the ewe ration during pregnancy and the thorough mixing of feedstuffs and minerals is essential. The condition occurs sporadically but can affect two to five per cent of sheep at risk but with a 100 per cent response to correct treatment, he says. Without appropriate therapy, the condition develops to coma, and death follows 24 to 48 hours later. There is a lack of normal rumen movement as calcium is responsible for muscle contractions. Bloat will develop and a passive reflux of rumen contents may occur with green fluid present at the nostrils and around the lower jaw. The condition can be treated by a vet via a slow intravenous injection of 20 to 40ml of a 40 per cent calcium borogluconate solution, given over 30 to 60 seconds. A burp will be given by the sheep one to two minutes after the intravenous injection. The treatment response is rapid with 100 per cent recovery. A farmer can administer 60 to 80 ml of 40 per cent calcium borogluconate solution subcutaneously, injected over the rib cage behind the shoulder. This may occasionally take up to four hours for a response to be seen. To increase the rate of response, the solution should be warmed to body temperature and injected at one site.